For the first time since the 10th of June 1944, a German President set foot in Oradour-sur-Glane on Wednesday. The visit carried a heavy weight of expectation and symbolism, not least because the guide was one of the only six survivors of the massacre, but also by the part played by some of the French soldiers from Alsace who had been forcibly incorporated to the invading forces. 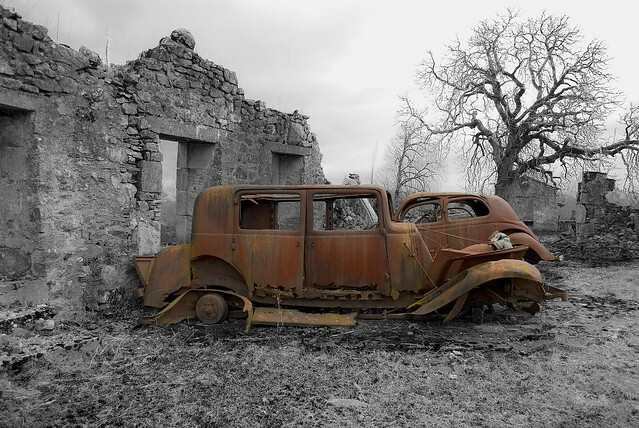 The town of Oradour-sur-Glane in the Haute-Vienne department of the Limousin region in central France was the site of one of the most heinous episodes of the Nazi occupation during WWII. For a still undetermined reason, the Waffen SS rounded up and annihilated the entire village, more than 640 people, mostly women and children. President Charles de Gaulle decreed after the war that the ruins of Oradour should be preserved as a perpetual reminder of what took place so to this day the burned village has been left untouched, the charred cars still on the road as they were found, even a little scorched baby carriage serves as a reminder of the innocent whose lives were cut short in such an abominable manner. The healing after Oradour is made even more complex by the fact that some of the soldiers who participated in the massacre were malgré-nous, men from Alsace and Lorraine forced into German military service. They were subsequently tried, sentenced and eventually pardoned for their role, but LePoint reports that this recent gesture left a bad taste in their mouths because Alsace still feels that no proper amends have been made and that they are treated “as if they had been German”. Talking about Oradour is always going to be difficult, but an integral part of what France what it is today, is the ability of its people to pick themselves up from those darkest of days, get back to the beauty and joy of the little things of everyday life and share their culture and traditions generously with anyone who cares to stop by for a visit. 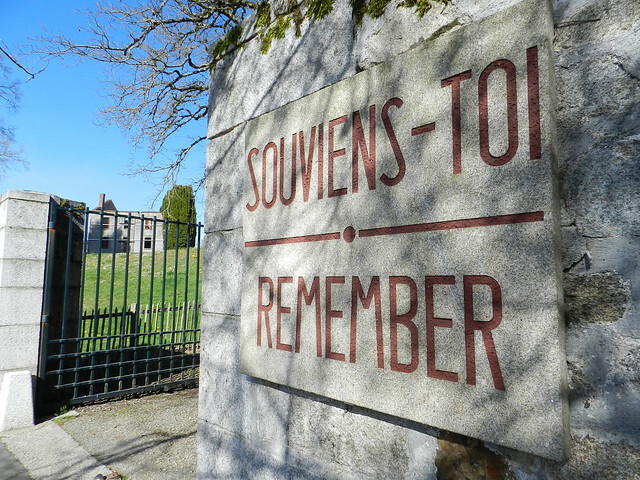 Read a detailed account of the events of June 10, 1944 in Oradour-sur-Glane.